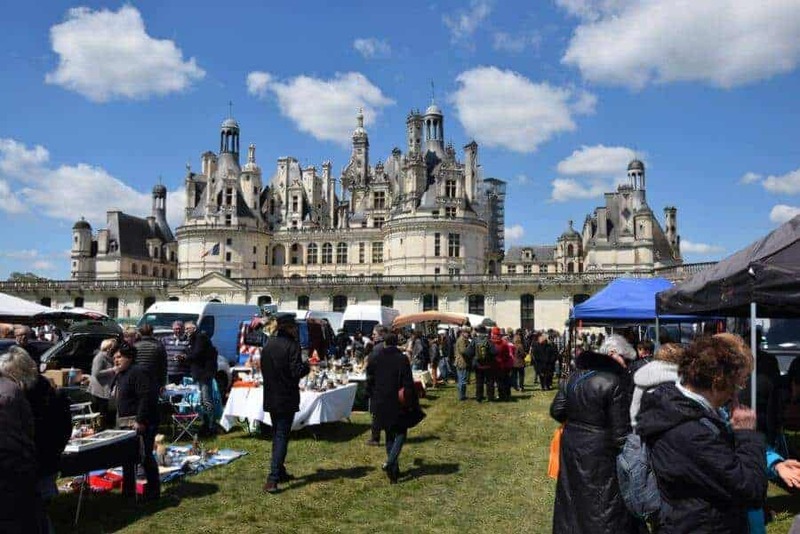 Flea markets in France: how to shop smart 4.6666666666667 out of 5 based on 3 ratings. 3 user reviews. 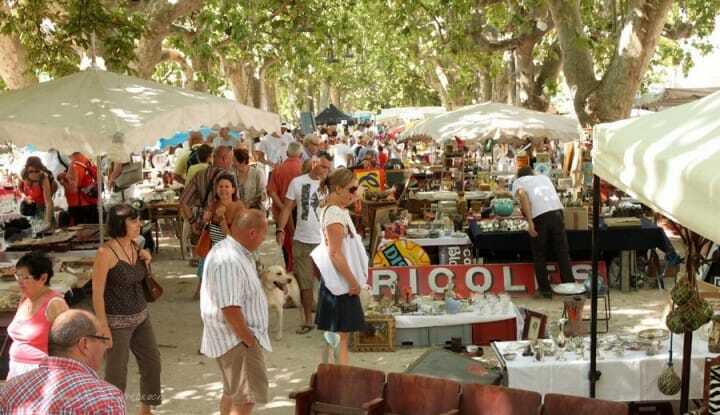 If you’re planning a trip to the flea market while staying in France, you should know that there are a few simple tricks that can help you secure a good deal, by helping you sorting out valuable objects vs pure junk (“la Drouille” like they call it in France). 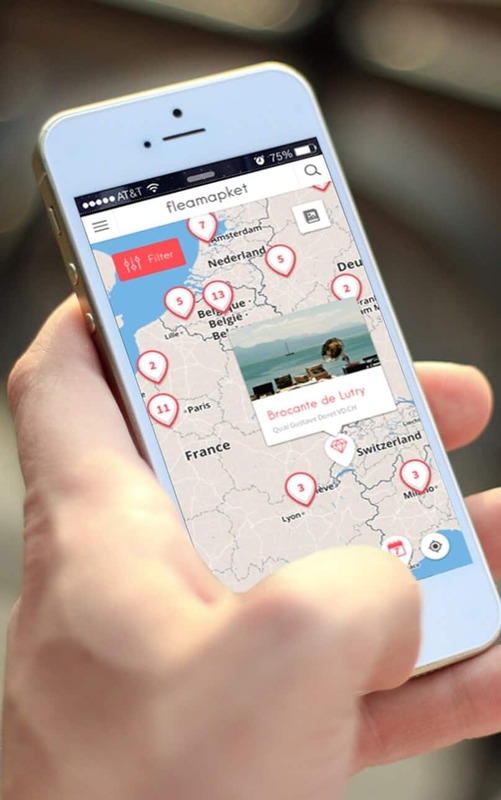 So this morning you walk up with the idea of going to the flea market, but it’s raining. Well then, this could be your lucky day! 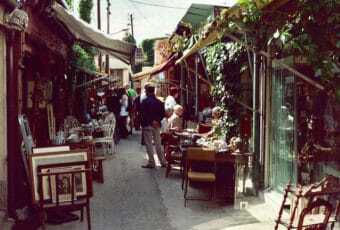 Merchants tend to be more willing to cut their prices when buyers are scarce. And a rainy day is one of the best deterrents. This is not a revelation: we’ve written this a dozen of time on this blog. 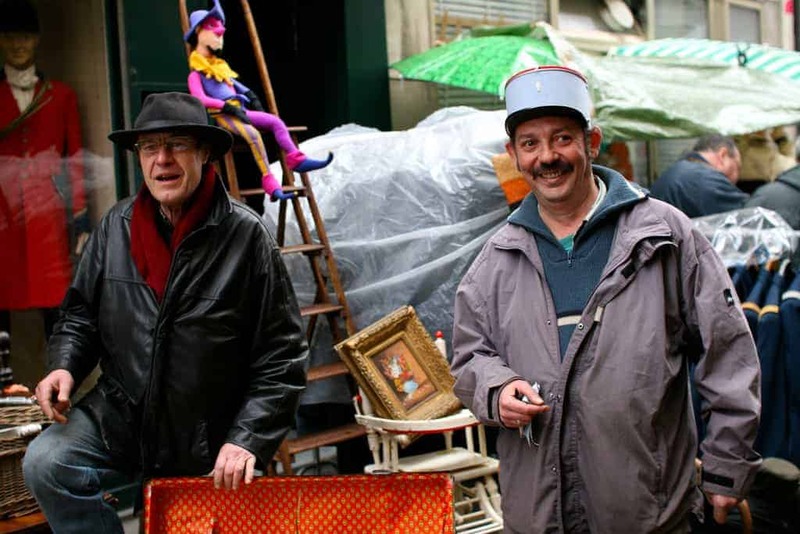 In order to secure the best deals, it is best to arrive early at the flea market. 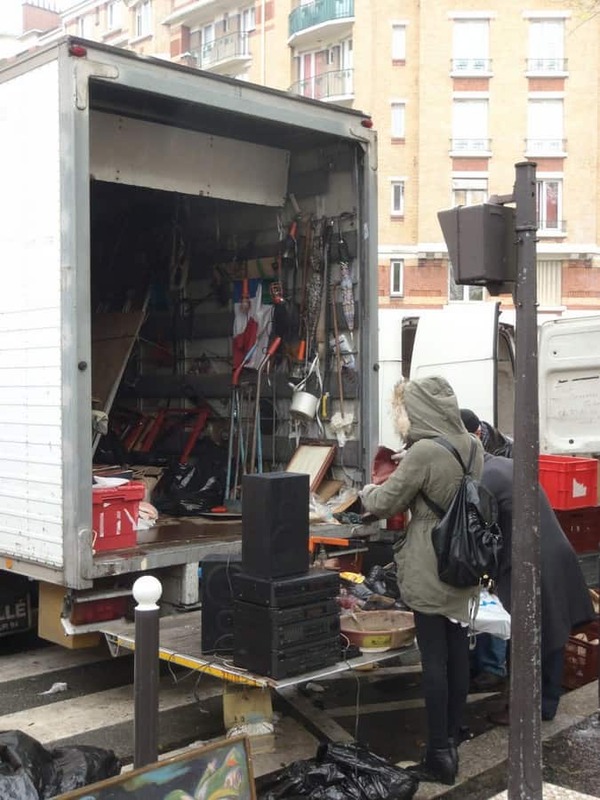 It is at the back of the truck (or au cul du camion like we say it in France), when traders are still setting up their stalls, that the most beautiful & valuable items change hands. It is at the back of the truck, when traders are still setting up their stalls, that the most beautiful & valuable items change hands. 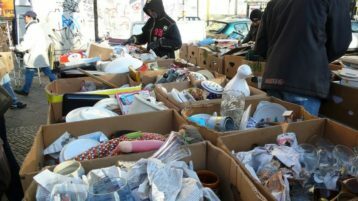 In order to find a good deal, take your time to carefully browse flea market stalls one by one, and don’t be afraid to dig your hands in dusty and dirty crates! 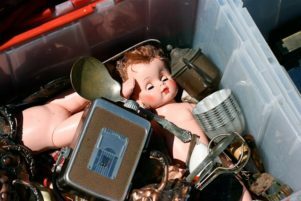 Gems are sometimes found sleeping in undug piles of junk. If you are looking for specific objects (chests, tables, mirrors, chandeliers, etc.) take a moment beforehand to investigate their average rating & value before putting yourself on the hunt. E-bay, Etsy, and other online resources are pretty useful when it comes to getting an idea of what some objects are worth. 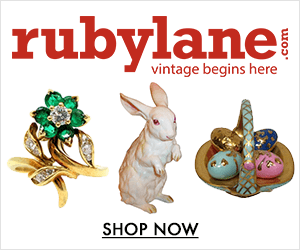 But once again, beware: “trendy” items, such as those of the 1960s & 1970s, are often overpriced. This is also the case with some vintage furniture such as armchairs from the 1950s, which sometimes carry a $700 price tag ($250 more than the base price). 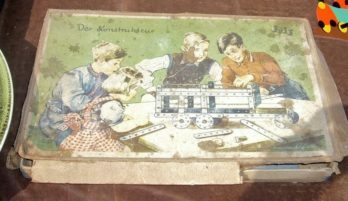 Ditto for vintage toys, which should only be purchased at full price if they have their original box and are in good condition. 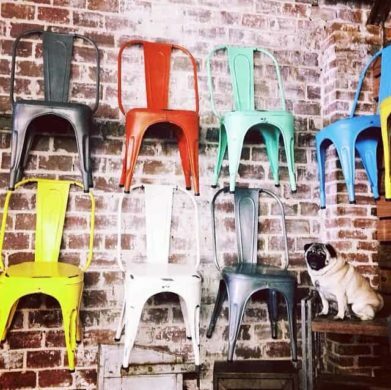 Regarding furniture, beware of industrial furniture, which is particularly sought after, including the “Tolix” chairs. Made during the 1920s, the Tolix has been heavily copied. Some imitations are even now selling for more money than the original! Expect to pay between $75 and $150 for an authentic piece (not pickled). 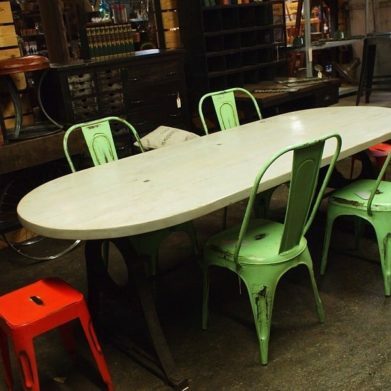 If you have a doubt, ask the seller for a detailed description of the object in writing. Also, carefully pay attention to the words used by the merchant: a piece of furniture in Empire “style” does not mean that it actually dates back to the 1800s! Similarly, the term “in the style of …” offers no guarantee whatsoever that this item actually is what you think it is. 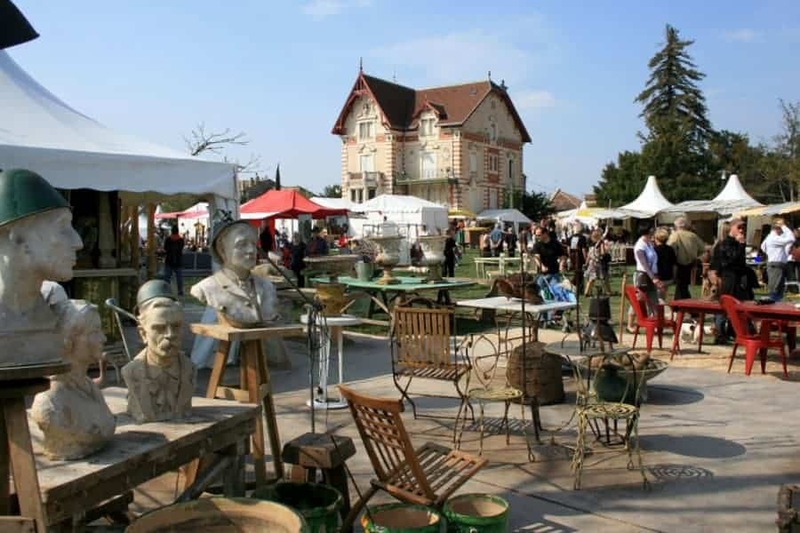 Furniture sold at flea markets around France are generally subsequent to the Ancien Régime (> 18th century). 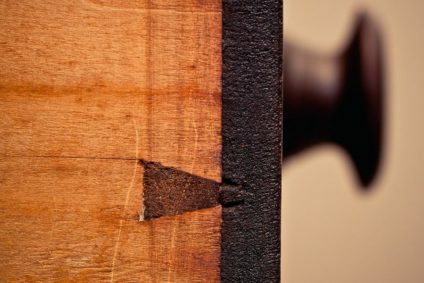 If being able to spot a genuine piece of furniture from a counterfeit requires the skills of an expert, some observations will nonetheless help you get on the right tracks. 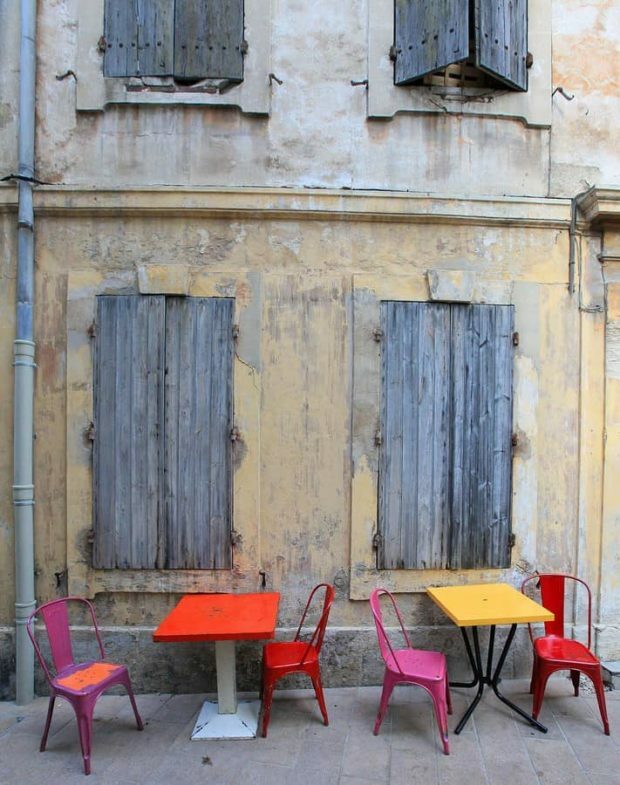 For instance, in the 19th century, a lot of furniture were still assembled by pinning or tacking (chevillage in french). 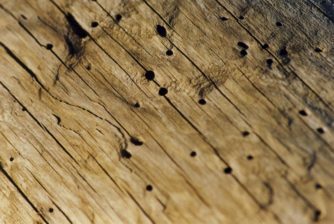 If you see glue traces or metal fasteners, this means that this piece of furniture is probably new or has been tweaked. For instance, the sides of a drawer can tell a lot. 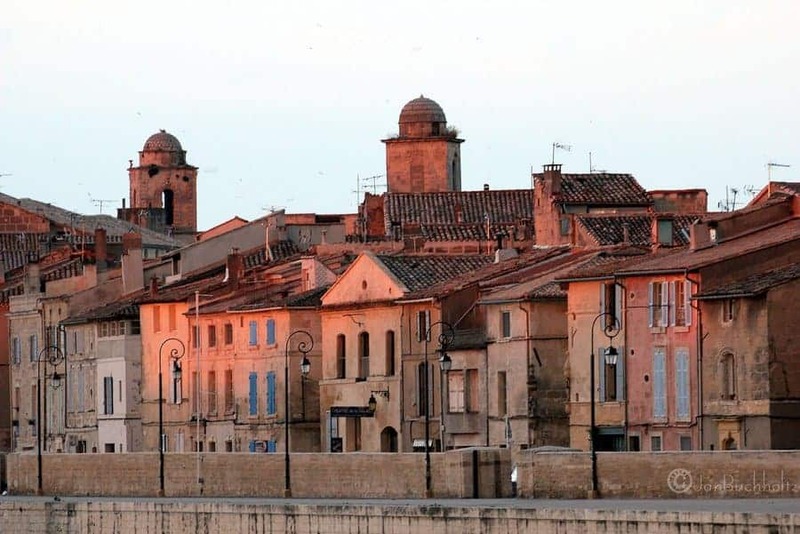 In the 19th century (the eras of Directoire, Empire, Restoration, Louis Philippe and Charles X) mechanization spreads. 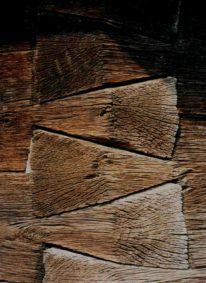 As a result, the number of dovetails (or queues d’aronde, a piece of wood used to attach planks together) increases. 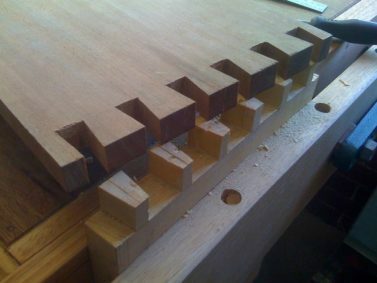 The more dovetails a piece of furniture features, the more recent it is. For instance, the drawers of Louis Philippe Ogee dressers total up to 6 dovetails. 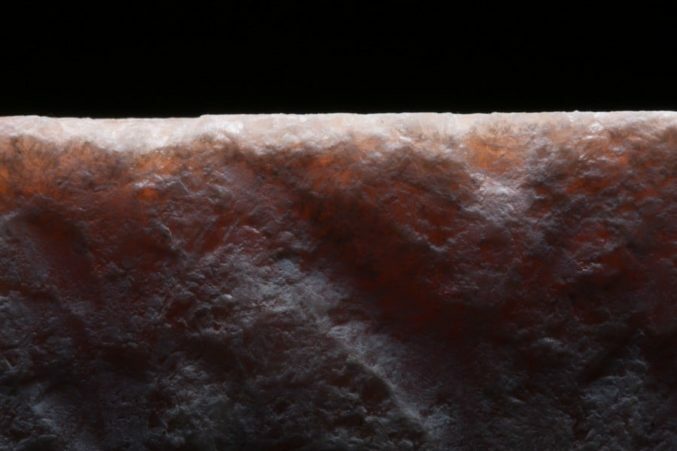 Likewise, always place your hand on the back of a piece of marble to inspect it. If it is old, the cut will be rough as it keeps track of the saw cut; conversely, it will be smooth if it’s new. 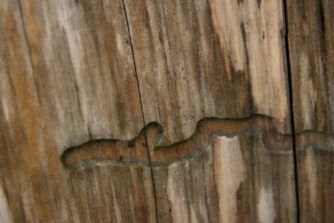 An old piece of furniture must show signs of wear, a veneer of variable thickness and traces of parasites galleries (wormholes). 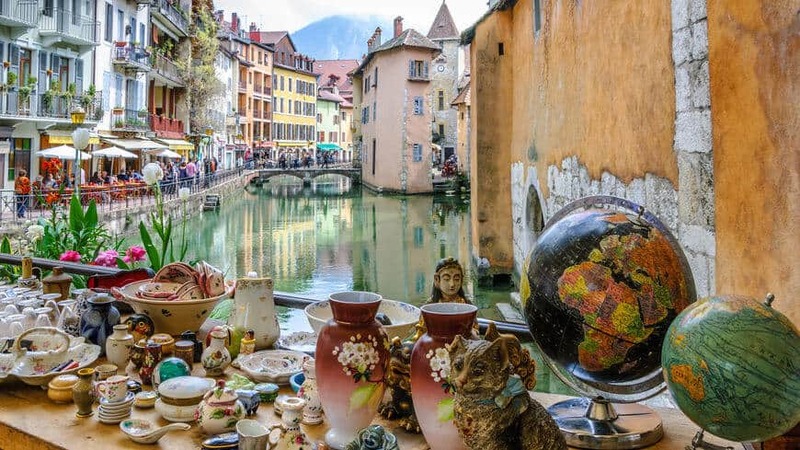 If you are traveling in France (don’t forget to have a look at Homes & Antiques’ special feature on France’s Best Brocantes), be aware that the price and value of objects differ from one region to another. Educate yourself. In order for you to get the best price, always wear your poker face when pointing the desired object to the merchant. Ask for the price and try to negotiate within a range of – 10% to – 25%. 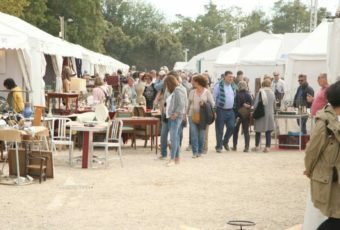 If the dealer goes beyond this range, you should be suspicious: it may be some “came chaude” or a good of dubious origin (understand “stolen” – this expression is explained in more detail in our Top 10 Idioms You Will Likely Hear at French Flea Markets).